Moulded in PP these autoclavable collection vials can be used for storage of different PCT reagents , enzymes & other diagnostics & biochemical reagents & samples. The inbuilt seal ring in the cap makes these vials leak proof. 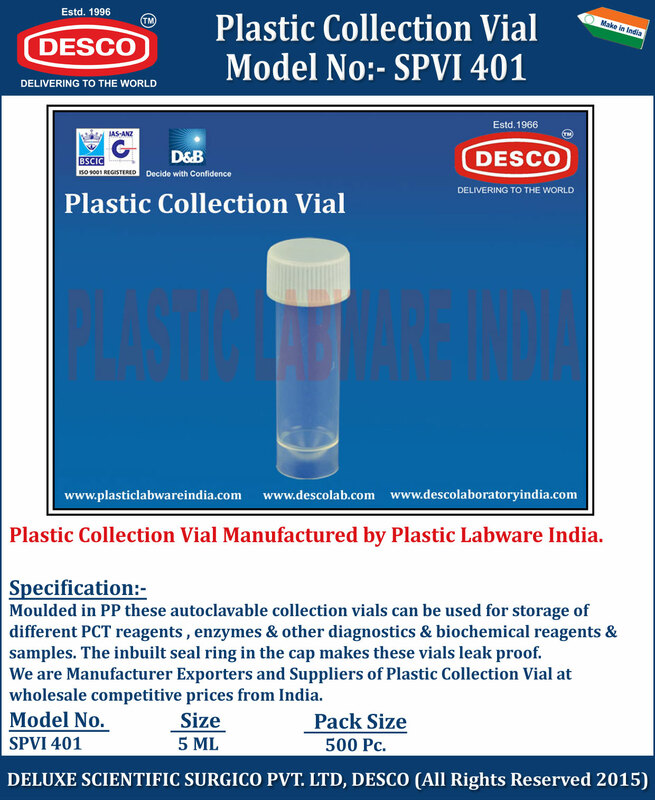 We are Manufacturer Exporters and Suppliers of Plastic Collection Vial at wholesale competitive prices from India. SPVI 401 5 ML 500 Pc.